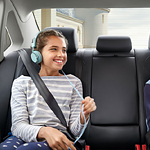 One of the ways to keep all the kids in the car entertained during a long trip in the car is getting them involved with roadtrip games. To play the License Plate Game, create a list of states on a sheet of paper, and then the kids have to watch for cars passing to identify those states. If a child sees a state, they call it out first so their name is put next to that state. The child with the most states will win this game. To play Spot the Car, the same rules apply. The list is made of car models and kids are looking out for those vehicles. If a child sees a certain model, they need to be fast and call it out to get the credit. The more you identify, then you win. Keep up on your vehicle maintenance appointment by stopping by Pitre Kia of Las Cruces before that long trip.